The Marian and Max Farash Center for Observational Astronomy consists of an education center, maintenance building and 6 working observatories on a 17 acre plot of land just off route 64 in the hamlet of Ionia, NY. 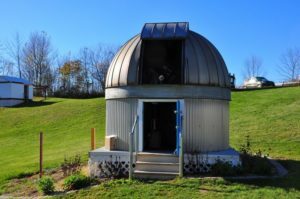 The property was donated to the Rochester Academy of Science in 1988 by Max Farash to be used for observational astronomy. 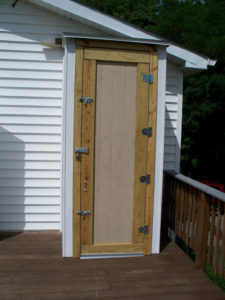 The Center has been developed considerably since that time through generous donations from the Wolk Foundation, Farash Foundation and from private individuals. 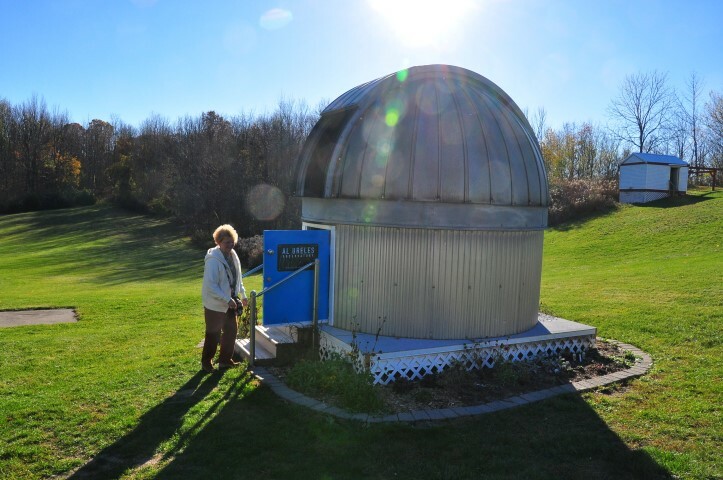 1988 – Max Farash donates a parcel of land to the Rochester Academy of Science to be used for observational astronomy. 1997 – An access road is opened and the construction of the education building is started. 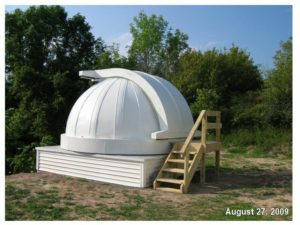 2001 – The first observatory is constructed for the 16” Cave reflector. 2001 – A small domed observatory is built and contains a 12” telescope that can be computer controlled. 2003 – A maintenance building is built to house mowers and ground keeping equipment. with “warm room” houses a 10” telescope and computer driven mount. This facility is mainly used for astrophotography. 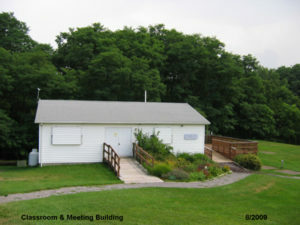 2005 – A deck is added to the education center. 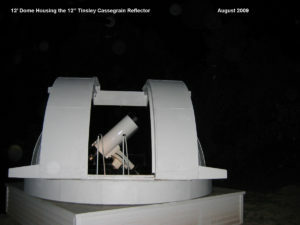 2009 – The Tinsley Observatory is built. This observatory houses a 12” Cassigrain telescope and is mainly used for lunar and planetary viewing and imaging. 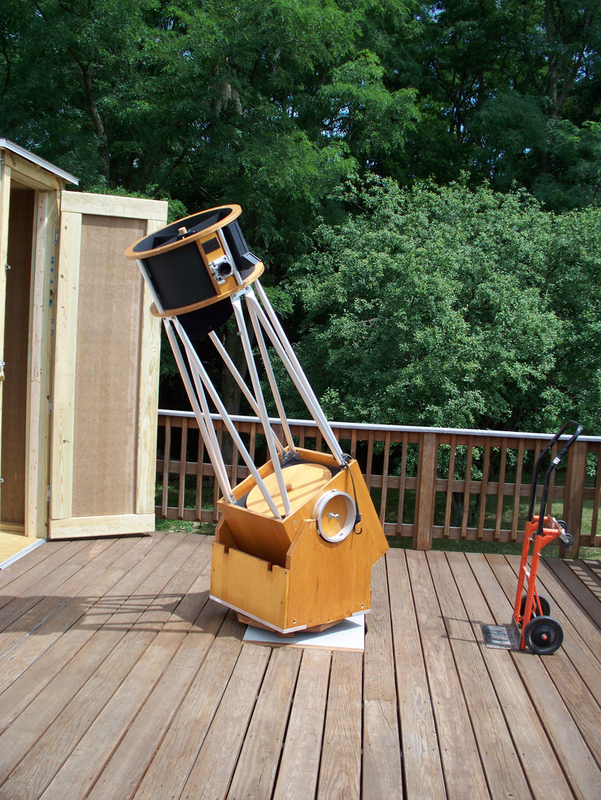 2009 – The Wolk Observatory is built and houses a 20” reflecting telescope on an Equatorial platform. 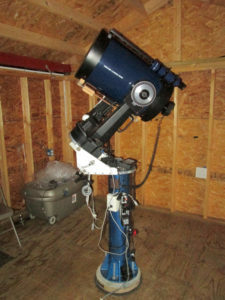 2011 – A small storage unit is added to the education center to house a 17.5” Reflector on a Dobsonian mount. 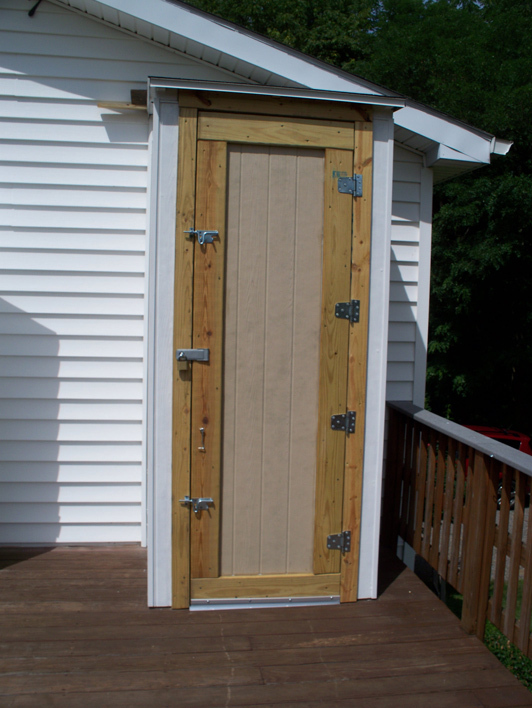 It is used for visual observations from the The deck area. 2012 – A solar observatory was built for observing the sun in the continuum & in hydrogen-alpha. 2013 – This year marks the 25th anniversary of the land being donated for the Observatory. 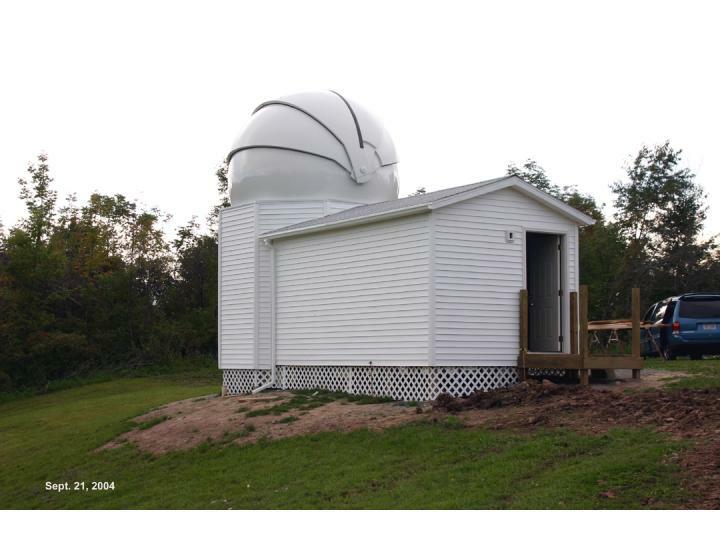 2005 saw the completion of another major project, the The Farash Observatory. (also known as the BigDome). 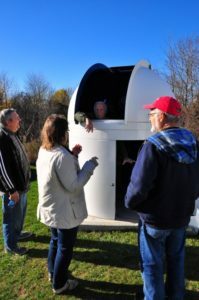 A 12 foot clamshell style dome sits high above a warm room housing the computers that can remotely control the scope and imaging cameras. 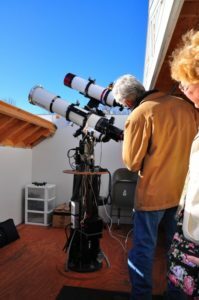 Last year in 2017 this observatory was upgraded to a top quality Astro-physics AP 1100 equatorial mount and a Celestron C14 Edge @ focal length = F8 SCT scope. 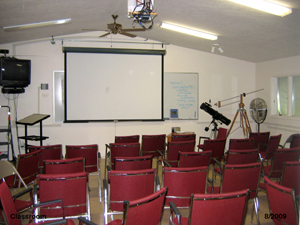 This facility is primarily intended for astrophotography, with a computer down in the warm room controlling cameras, focusing motors, and so on. 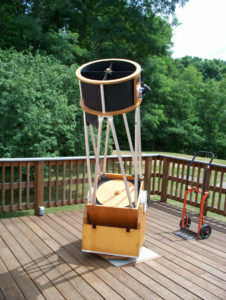 A small refractor has been mounted and aligned with the C14 for use in auto-guided photography. A modified DSLR for astrophotography work was also purchased last year for member use. 1997 saw the completion of the Louis S. Wolk Building. This facility serves as educational facility, library, meeting building, and much more. It’s the literal and figurative heart of the club. Observers also have access to several pads, complete with power for those needing to run their drives and cameras. Our newest addition to the site is the 17.5 inch Dobsonian reflector located on the back deck of the Wolk education center. 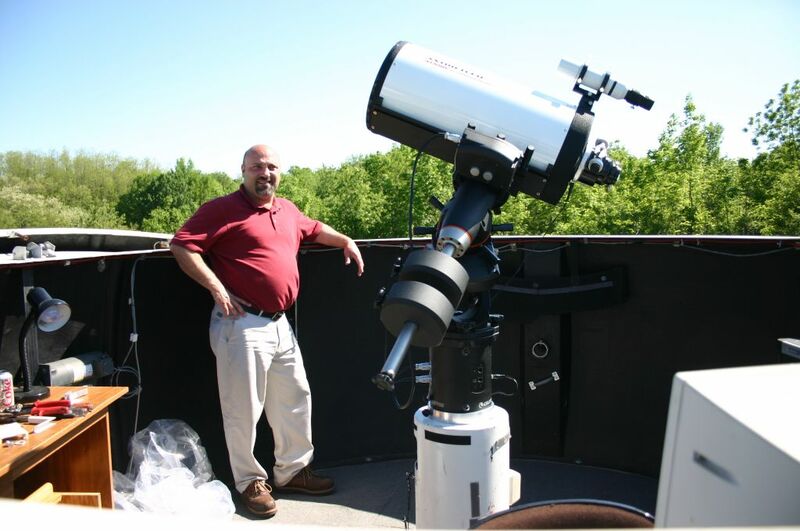 This telescope is a 17.5″ F/4.5 Newtonian on a Dobsonian mount made by Sky Designs and donated by Dr. Al Urelees. 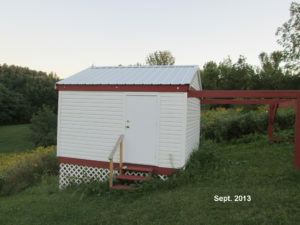 It is housed in its own dedicated shed on the wall in the northeast corner of the deck. The small handtruck located in the scopes closet is used to move the scope out onto the cement platform located in the middle of the deck. 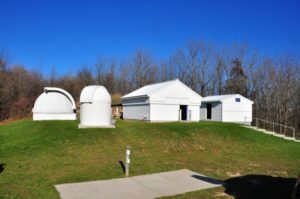 2001 saw completion of two significant observatory construction projects adjacent to the Wolk Building. 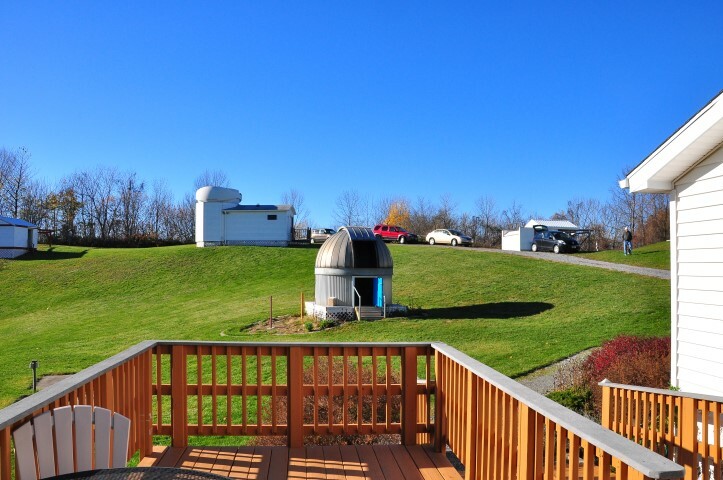 In the first, a large roll-off roof observatory now houses our 16 inch Cave Newtonian reflecting telescope. The RollOff is now motorized, making it even easier to access. A recent addition to the site is this 7′ diameter fiberglass observatory. This is meant to be reserved by members for periods of perhaps a week for use with their own personal equipment. 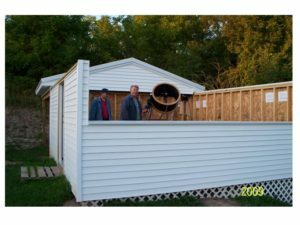 The second project completed in 2001 was a small observatory with a 6 foot dome which now houses a 8″ Meade Schmidt Cassegrainian telescope. This building has now been replaced with a top of the line 10 foot diameter ASH dome donated by Dr. Al Ureles. 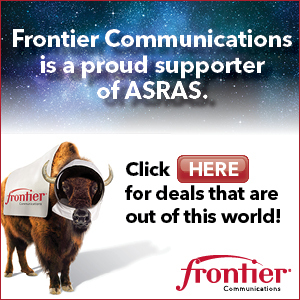 In 2013 ASRAS took ownership of Robert Brewingtons (Brews) private observatory to allow use by members. 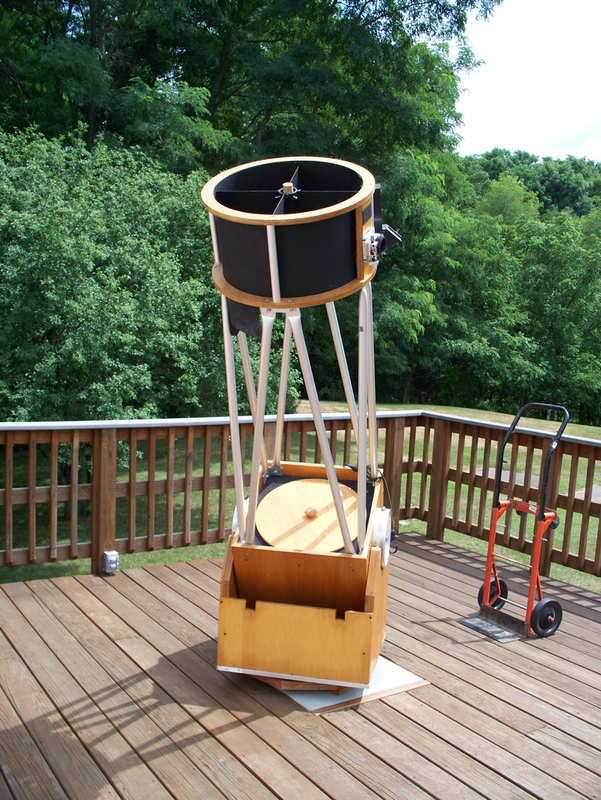 This observatory features a Meade 12 inch SCT on a go-to fork mount. 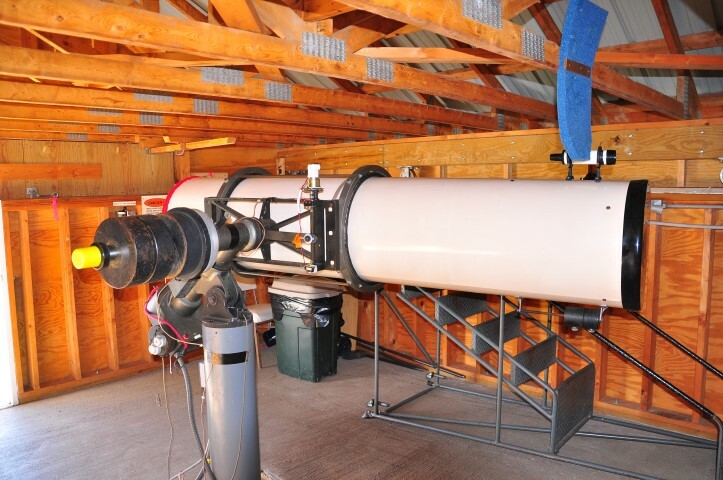 It is capable of astro-photography and is mounted on a polar aligned pier. It is an f/10 with a focal reducer for f/6.3. It is equipped with a Robo focuser unit and is close to having the capability for remote operation. It does have a dovetail on the scope that is the wider losmandy type for mounting your own guide scope. 2012 saw the design, construction, and “first light” of our new solar observatory. 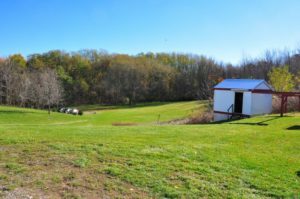 It is located right at the top of the hill to the south of the Tinsley building. The observatory is equiped with a dedicated Lunt 100mm refrator and a second high quality refractor mounted side-by-side on a losmandy Gemini 2 mount for viewing in both Hydrogen alpha and white light. 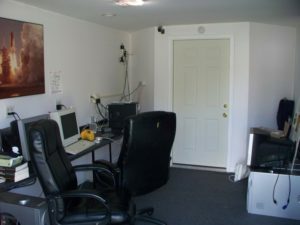 These instruments allow for direct viewing of the sun or imaging using video cameras to a new PC setup and dedicated for this purpose. 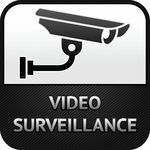 Group viewing is also available using the video camera and large screen monitor. 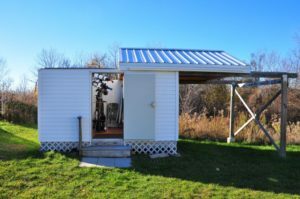 The Tinsley Dome houses a completely re-furbished 12 inch True Cassegrain telescope made by the Tinsley company back in the 1960’s. The scope was donated to the club and through the efforts of many gracious donors has been completely re-built to better than new condition. 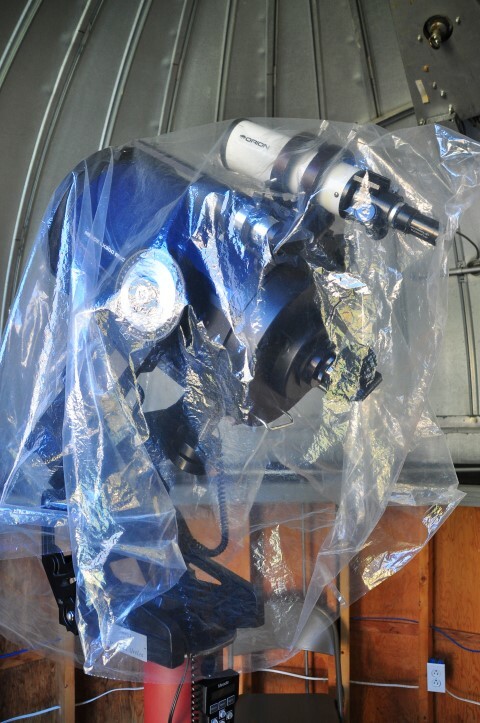 The main and secondary mirrors have been re-coated with modern reflective materials and the equatorial mounts tracking drive system has been upgraded to a precision stepper motor design. 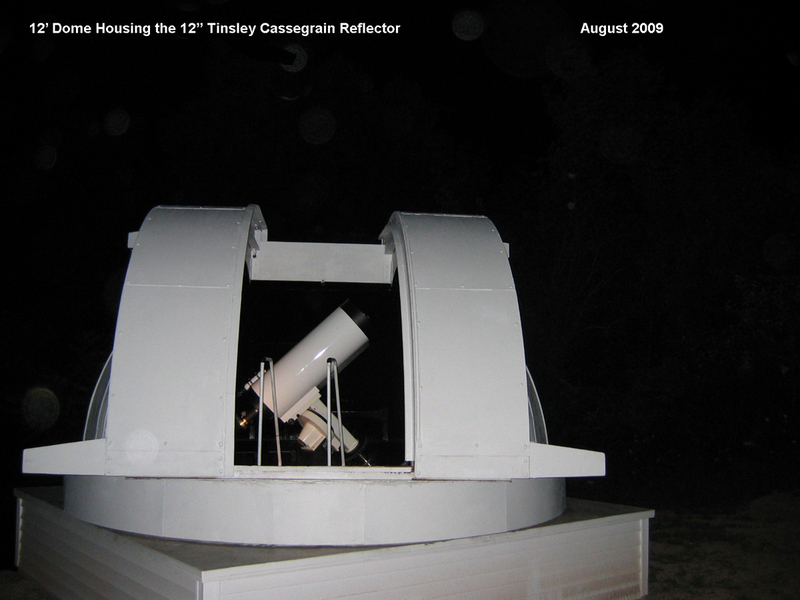 The Tinsley’s long focal length makes it ideal for planetary viewing and imaging.